According to a recent survey, the public in Taiwan is not war shy after all. On January 2, China’s President Xi Jinping made an overt threat to retake Taiwan back by military force. In this speech, Xi reiterated China’s long-term policy toward Taiwan: that “reunification” under the one China principle was the best way forward for cross-strait relations. To achieve this goal, China is willing to fight against foreign forces who might seek to interfere and the “tiny” minority of Taiwan independence forces and their activities. Not only was China’s message poorly received in Taiwan, it laid the ground for a strong response from Taiwan’s incumbent leader. President Tsai Ing-wen responded to Xi’s message with unprecedented sternness, stating that Taiwan would never accept “one country, two systems” as the basis for the future of cross-strait relations and that unification is “impossible” under her tenure. Tsai’s rhetoric marked a turning point in her approval rating, which climbed up to nearly 50 percent from the previous low 30s. Tsai’s response also earned support from the White House and the U.S. Congress; both went on record that Washington would support Taiwan to fend off pressure from China. While a cross-strait war still seems like a remote possibility, as China begins acting more hostile to Taiwan, many have begun to ask: Are citizens in Taiwan willing to fight against China? There are numerous studies that explore the ways in which China might militarily invade Taiwan; however, the question of public support for an upcoming conflict in Taiwan remained largely unexamined. We are especially interested in two perspectives. First, will the public in Taiwan pull their support from a war effort when knowing that battle deaths are likely to occur? If most of the public decide not to support a military conflict with China once a low threshold number of war deaths has been reached (e.g. several hundred), then we could infer that the tolerance of deaths in battle and the confidence in continuing a military conflict with China is low. Second, we are interested in the factors that might sway public opinion on their tolerance for casualties. We bring some answers to this question with a recent survey conducted by a polling center housed inside National Chengchi University in Taiwan from July 3-5, 2018. We asked 1001 Taiwanese respondents above 20 years old: “Is there a casualty threshold beyond which you will consider the conflict (with China) is not worth the trouble?” Subjects chose from six options: 1) 0 deaths; 2) 1 – 50 deaths; 3) 51 – 500 deaths; 4) 501–5,000 deaths; 5) 5,001–50,000 deaths; and 6) over 50,000 deaths. The most popular categories were over 50,000 deaths (32.2 percent) and 0 deaths (20 percent), whereas 51-500 deaths (7.7 percent) and 5,001-50,000 (9.9 percent) are the least selected options. The result is surprising, as there is not a linear association between battle deaths and Taiwanese tolerance of war. Existing studies on American support for war overseas have often pointed out that the higher the number of deaths, the less popular the war. Such a pattern is non-existent in Taiwan. According to the poll, about one-fifth of the population is completely opposed to war (not willing to tolerate a single death), but many more were also willing to endure quite a significant number of fatalities (50,000). This number is even higher than American support for the military mission in Iraq early 2003 (when public support for the mission was still high). At that time, only 11 percent of the public would tolerate a casualty threshold of 50,000. In short, we should be able to conjecture that although a portion of society Taiwan is war shy, another significant portion is willing to bear a high number of battle deaths if war occurs. A consensus has clearly not been formed yet on this issue. In terms of the factors that influence public opinion on an acceptable casualty threshold, some of the results matched with our understanding of Taiwanese politics. Supporters of the Democratic Progressive Party, a more independence-leaning party, were more likely to be tolerant of a higher number of casualties. Males were also found to be more supportive of a higher casualty threshold. Surprisingly, however, experiences in military service did not have a statistical association with casualty tolerance. Even among those who have received military training (mandatory and voluntary), only those who considered the military training to be useful when facing an enemy in combat had a higher casualty tolerance threshold. 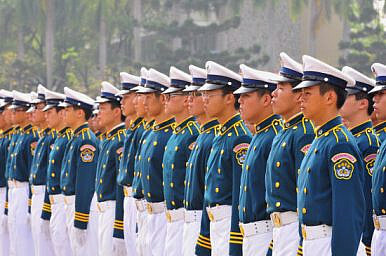 These findings seem to be in line with the perception of the military in Taiwan. Many are skeptical of the ability of the military to defend Taiwan, and the government’s proposal to transit to an all-voluntary force has been met with a lukewarm response. In conclusion, our survey reveals an important finding: Despite the widening gap in military capabilities across the Taiwan Strait, a significant portion the public in Taiwan is willing to bear a significant battle cost of war if a conflict is inevitable with China. This message is a reassuring signal to Taiwan’s allies, especially the United States, that it is necessary to continue support for Taiwan’s defense capabilities. The result of the poll also sends a clear message to Beijing: in addition to the fact that an invasion of Taiwan is difficult from an operational standpoint, such an invasion is likely to meet a resolute public willing to bear a high number of causalities to defend their freedom and democracy. The message will hopefully convince leaders like Xi that a more peaceful and constructive approach is beneficial for cross-strait relations, because the public in Taiwan is not war shy, after all. Yao-Yuan Yeh is Assistant Professor of International Studies and Interim Chair of the Department of International Studies, Modern Languages, and Political Science, Center for International Studies at the University of St. Thomas – Houston. Austin Wang is Assistant Professor at the Department of Political Science, University of Nevada, Las Vegas. Estimating Taiwanese Military PowerCould China Flash Invade Taiwan?6 Reasons China Would Invade TaiwanChina's Military Trains for Taiwan Invasion With Mock-UpsSatellite Imagery: China Staging Mock Invasion of Taiwan?